The Coachella Valley’s first Krispy Kreme location opened in Rancho Mirage this morning and there was quite a line going by the time the doors opened. KESQ reports that the first people arrived at 9:30 pm on Monday night. The crowd waited all night for a chance at a free doughnuts for a year – with the first person in line getting a dozen free for a week and the next 99 people getting a free dozen doughnuts once a month. 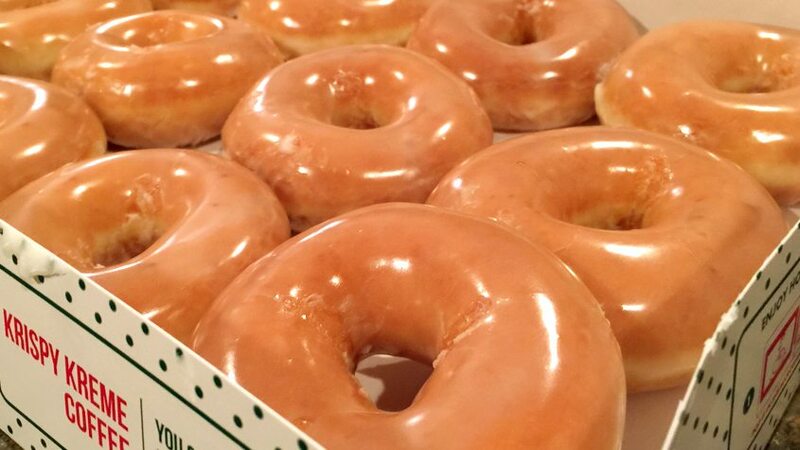 The line is already long as residents camp outside the Krispy Kreme in Rancho Mirage. The first 100 people will win free donuts for a year! The donut shop opens tomorrow at 5:30 a.m. Though it doesn’t appear that everyone had to wait.